Sometimes, when teeth begin to fail, our best option is to consider dentures. These removable prosthetics look like natural teeth, and they can replace all teeth on the upper or lower jaw—or both. While most are familiar with what dentures look like, there are many factors to consider that you may not know. If you are considering dentures, we encourage you to call our office to schedule a consultation. We can look at your existing teeth and bite and give guidance on what may work best for you. Making the decision to move into dentures is not something to be taken lightly. If you have any remaining teeth, they will need to be extracted. Short of dental implants, once your teeth have been extracted, dentures are a permanent solution. We stress to our patients that once you have dentures, your oral hygiene and long-term care do not stop. Dentures must be properly cleaned daily, just like natural teeth. They must be stored in a cleaning solution when you are not wearing them. Otherwise, you risk them warping and cracking if they dry out. Additionally, your dentures will require the occasional adjustment, or reline, as your gums change over time. With good maintenance a set of dentures can last up to 10 years. Therefore, the set of dentures you get now will most likely not be the last set you have to buy. As with any prosthetic device, dentures eventually wear out, and they may also stop fitting well as your gum tissue and jaw bone change. Bone loss is very common in denture patients since there are no natural teeth in place. Patients sometime misunderstand this point. We feel it’s important for our patients to understand at the beginning of their journey that they will need to plan on future sets. Also, we stress to our patients that being in full dentures does not mean they are done with dental appointments. It is just as important for us to monitor your gum tissue health—and track any changes we see—as it is to get regular teeth cleanings. As we noted above, the first step to making dentures is to extract any remaining teeth. Assuming you do not have an infection, we can usually send you home with a temporary set of dentures while your final set is being created. We will take impressions so we can create a properly-fitting set. The prosthetic teeth will be color-matched to look like natural teeth. Once your final set is ready, we will have you come in for a fitting and make any needed adjustments. It will take some time for you to get used to them. Your comfort is important to us, so we will stay in touch to make sure your adjustment period is as smooth as possible. Full dentures are an all acrylic restoration replacing all missing teeth of the upper and/or lower jaws. Full dentures use the remaining bone and gum tissue to rest on for support. Many patients function very well with these restorations and report feeling quite comfortable. Others prefer to add support by placing implants below their dentures to help retain or completely support it. Both partial and complete dentures are made using a local lab to ensure high quality and a quick turnaround time. Depending on the patient and their situation, there can be 2 to 5 steps to make a denture. Those steps include impression, bite registration, try-in, and delivery. Also depending the situation, it can take as little as 3 days to make a denture or up to 5-6 weeks, depending on the case. The two primary alternatives to dentures are dental implants and partials. All these options have merits, and we encourage you to ask any questions you have about any of these options. Partials, or “partial dentures”, are removable just like full dentures. However, they work with your remaining existing teeth that are still in good condition. The missing teeth are replaced by prosthetic ones that are attached to a frame. The frame fits into your mouth like a retainer, completing your arch. Partials allow you to keep some of your own teeth, which has the added benefit of maintaining better bone structure over time than with full dentures. Partial dentures are an affordable way to replace missing teeth and use the remaining teeth and gum structure for support. Depending on Dr. Brito’s recommendation and your esthetic concerns, you can either receive a metal partial or a flexible clear partial. They are easily removed for cleaning or repair and are designed with a custom fit for you. Dental implants are comprised of a titanium post that is placed into your bone structure and a crown that replaces the missing tooth. For patients with one or two missing teeth, dental implants are a great option. The titanium post of the implant can also be used to anchor your full denture. 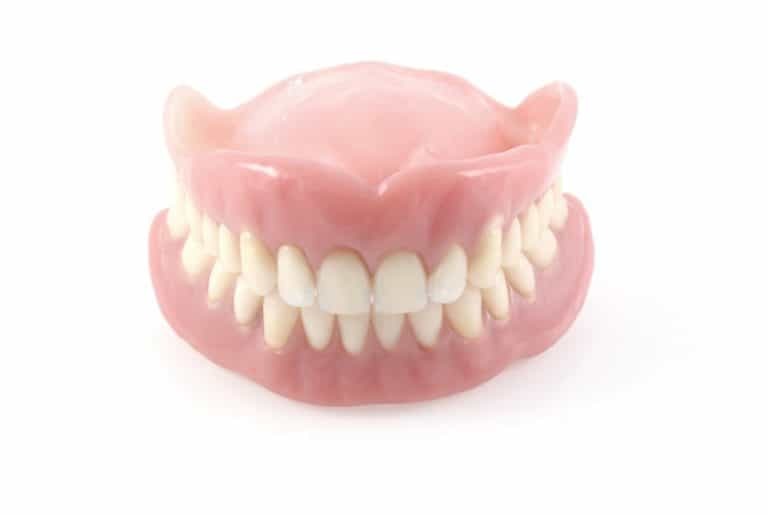 These implant-supported dentures are great options for patients who need all teeth replaced on the top or bottom, and who want a more secure fit. However, the price is higher than with a traditional denture because of the need to place those implant posts in addition to creating the denture.